Ketones – What are they? 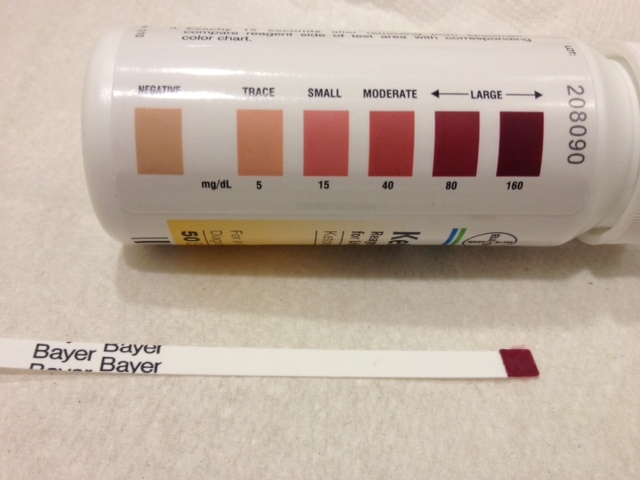 The easiest to follow post on Ketones and Ketosis I’ve come across so far. 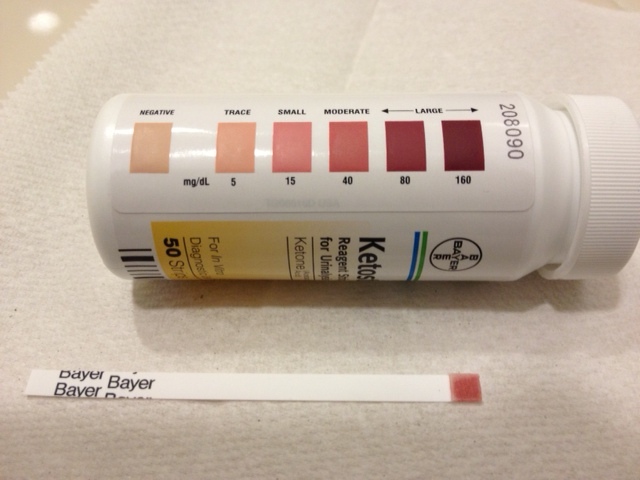 Ketones are a beneficial product of fat metabolism in the body. When the body breaks down stored fat, it creates fatty acids, which are then burned in the liver in a process called beta-oxidation. This process results in the creation of ketone bodies, which are then used as fuel by the muscles and brain cells. 5 months of a nutritional lifestyle that is essentially ‘no sugar and no grains’ from The Angriest Trainer. Includes high fat, some protein, and very few carbs from fruit and veggies. 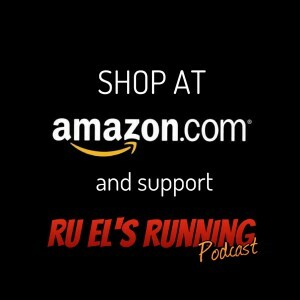 I run a few times a week. Lost around 18 lbs. How to test for ketone levels? Use of Reagent strips for urinalysis of Ketone (Acetoacetic Acid). 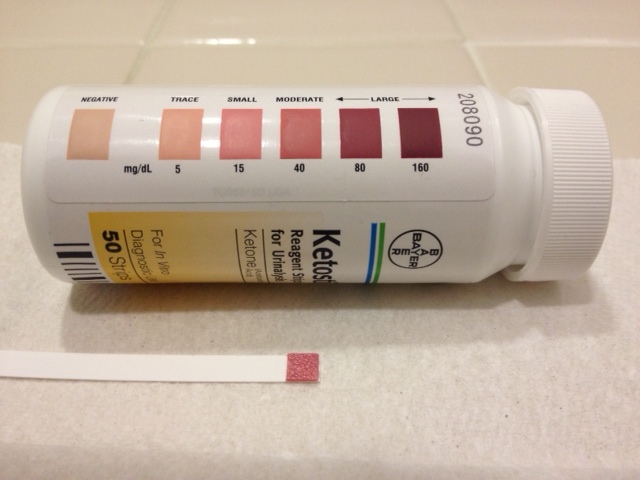 Ketostix provides a fast, convenient way of testing urine for the presence and concentration of acetoacetic acid (Ketone). 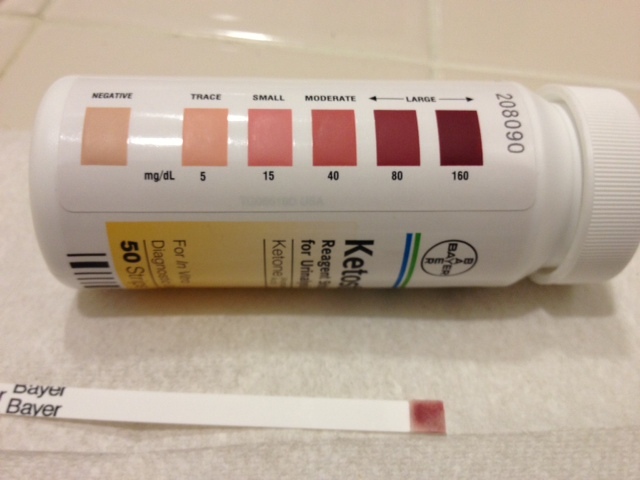 I’ve tested ketones before about 3 years ago, when I spent time and had some success with the Atkin’s Diet Induction Phase. After I got lazy and fell back out of shape I ditched the strips. Recently after listening to the Angriest Trainer (podcast episode 59), my interest in piss testing was re-sparked. 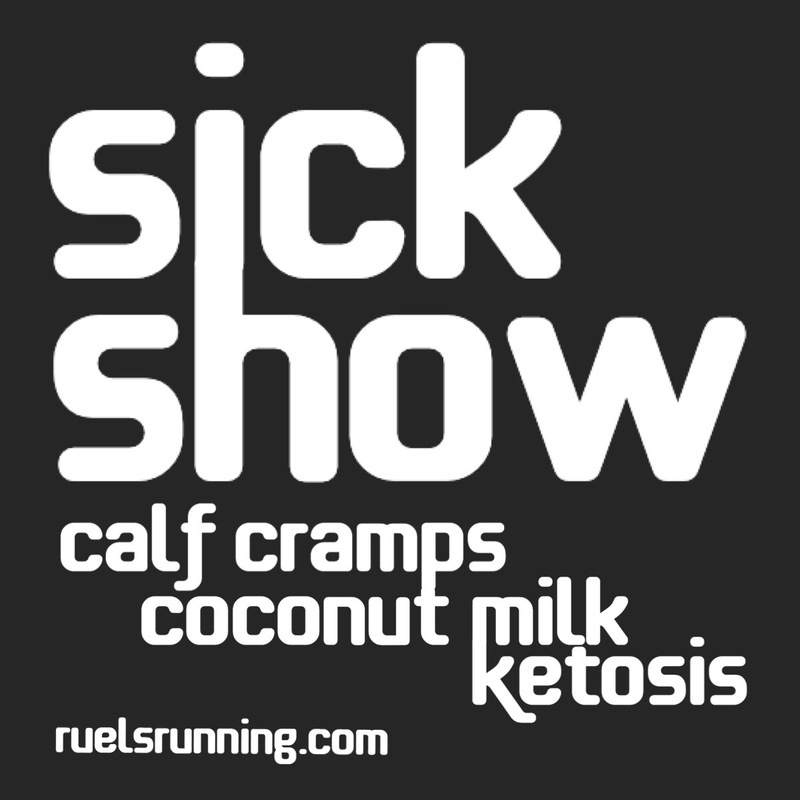 On the podcast, host Vinnie Tortorich, co-host Anna Vocino, and special guest Andrea Anders got me curious and excited to know where my ketone levels were at. 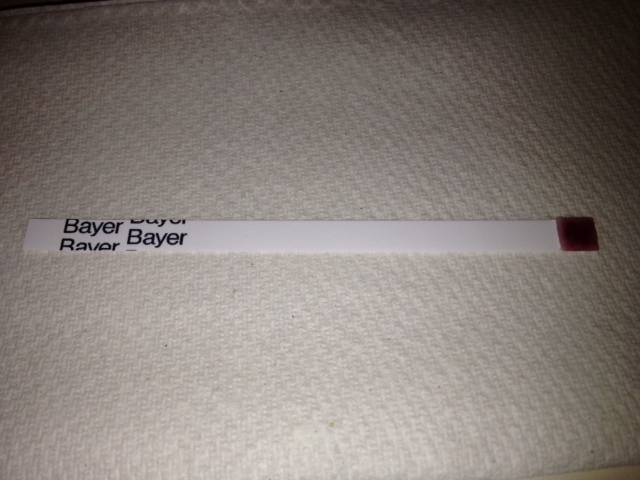 So here are some recent results preceded by what I consumed and did prior to each piss test. Had morning cup of coffee blend w/ coconut oil and grass-fed butter, glass of green smoothie, omega 3 soft gel and morning commute. After pre-run 1/4 cup black coffee and 1 hr easy lunch run. After waterbottle of green smoothie (post run meal). Had morning cup of coffee blend w/ MCT oil (instead of coconut oil) and grass-fed butter, glass of green smoothie (with added MCT oil), omega 3 soft gel and morning commute. 2 sticks of sugar free winter fresh gum. Thoughts: I was concerned a large meal would kick me off of ketosis, so I made food choices that appear to have the most amount of fat to cut any carb/insulin effects. 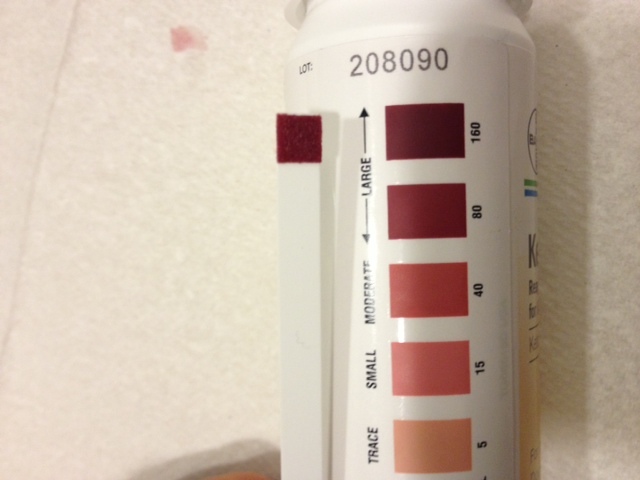 In the end, I’m totally shocked how deep my ketone level turned out. And very pleased. I’ve read somewhere that MCT oil is something that might have helped keep me in the ‘dark side’.